Noooooooooooooooooooo. School is back in session! Summer went by way too fast. Hope everyone had a wonderful summer. 1. 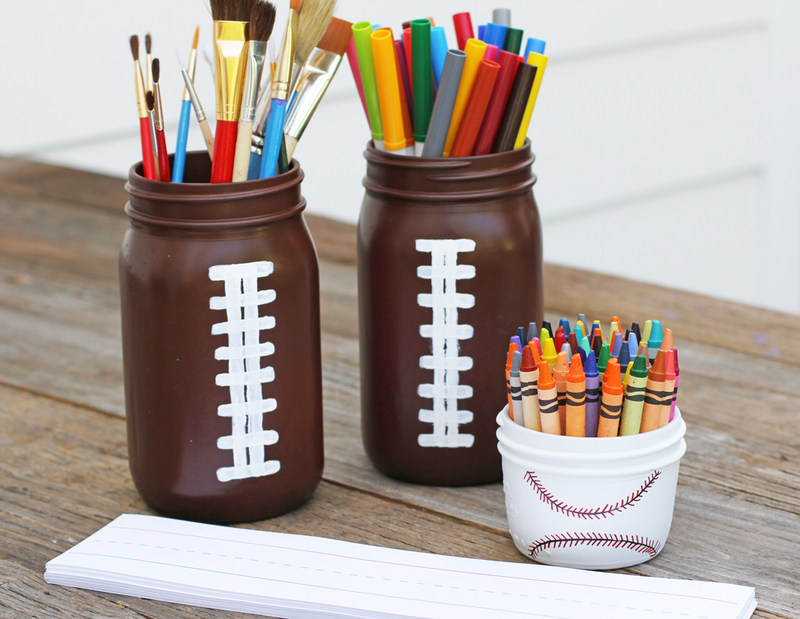 Turn your mason jars upside down and spray the large mason jar brown and the smaller mason jar white if you are making the little baseball. Let dry. 2. 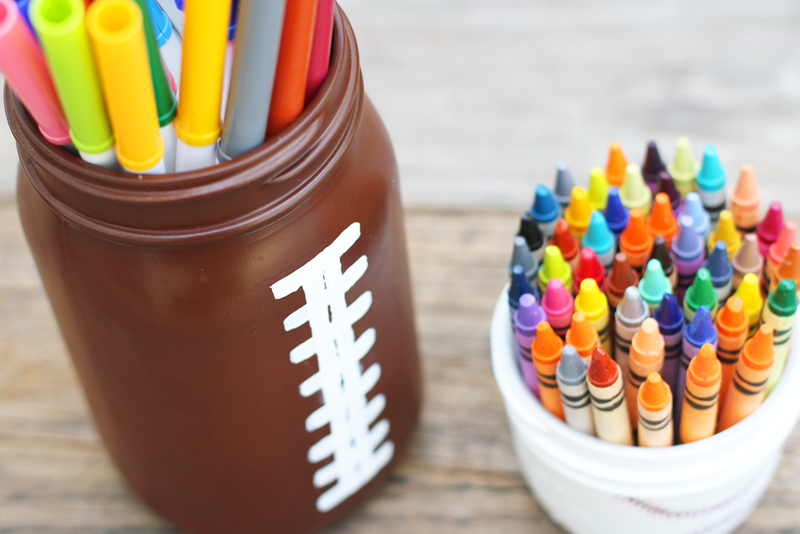 Once dry, use the side of a ruler to help make a white line down the center of the football (brown) mason jar. Be very careful when placing the ruler edge against the mason jar as you don't want to scrape the spray paint. Let the two parallel lines dry before painting the laces. 3. Using a paint brush make 8 white laces going across the center white lines of the football. Let dry. You can spray with a clear shellac so the paint doesn't scrape off. 4. If making the baseball, simply use a black sharpie to create two half circles on top and bottom of the jar. Using a red sharpie, create the tiny red laces as pictured above.